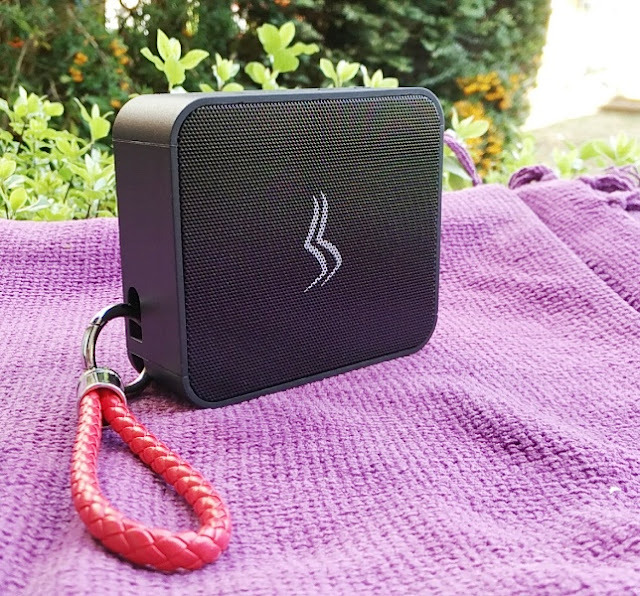 Having drinks outdoors while listening to music is nice but with the changeable weather nowadays, it's worth getting a portable bluetooth speaker that can get wet like the Sensport Move Mini. 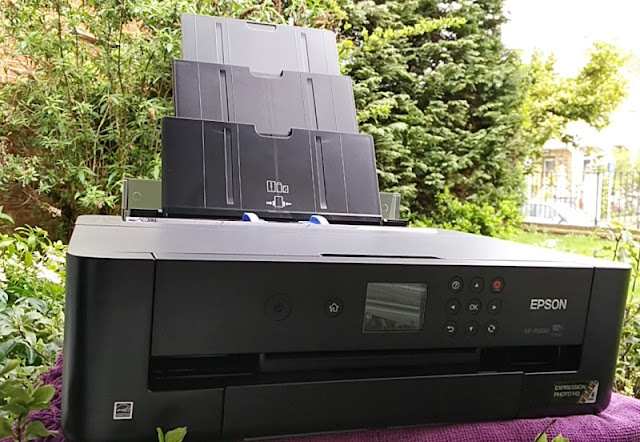 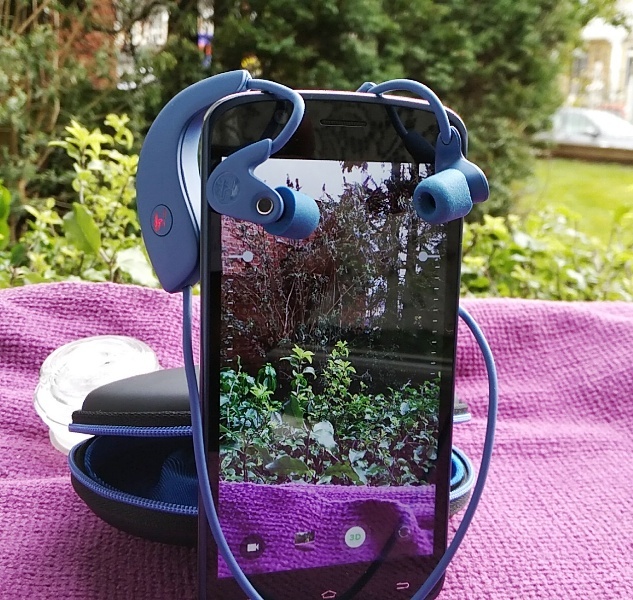 You can take the Sensport Move Mini to the park, out in the garden while having a barbecue or just around the house while doing the dishes in the kitchen with no cables or fuss. 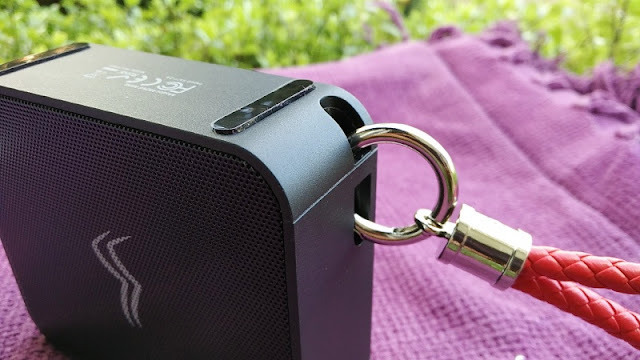 Plus, the Sensport Move Mini speaker comes with a snazzy PU leather lanyard attached to a ring carabiner so you can carry the speaker with you on your wrist. 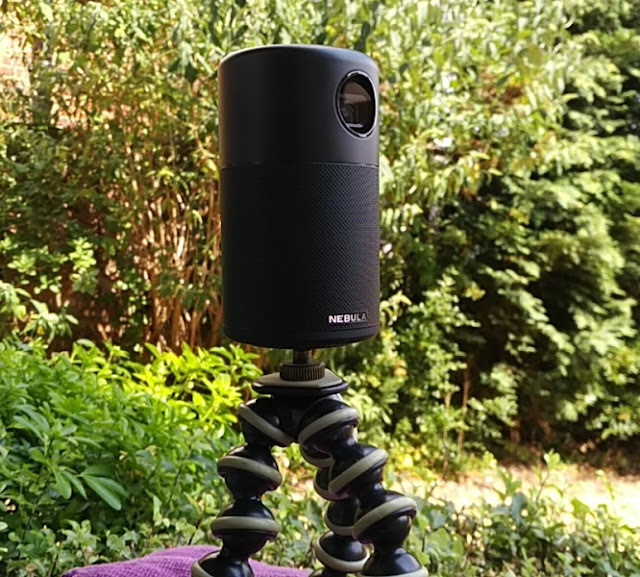 The Move Mini footprint is very compact, taking little space anywhere you put it. 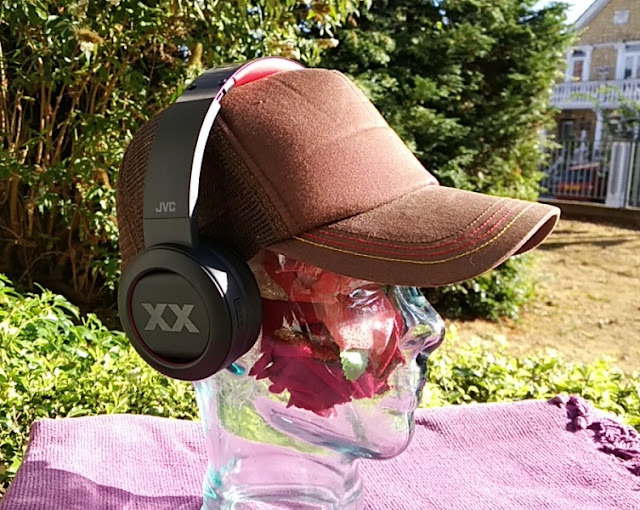 And, it is reasonable rugged so it can handle dust as well as being dropped by accident. 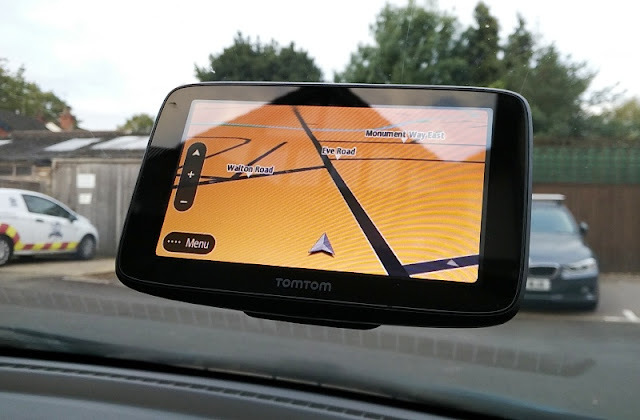 The Move Mini measures 10cm long, 8.6cm wide and 3.3cm thick and weighs just 225 grams. 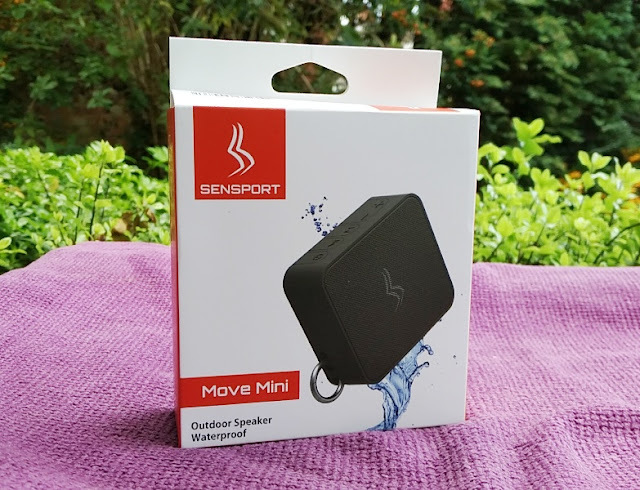 Along with being pretty small, the Sensport Move Mini has a long playtime and comes with IPX6 waterproof rating, audio output and microSD card slot so you can play music directly from the speaker without having to connect it to your smartphone via bluetooth. 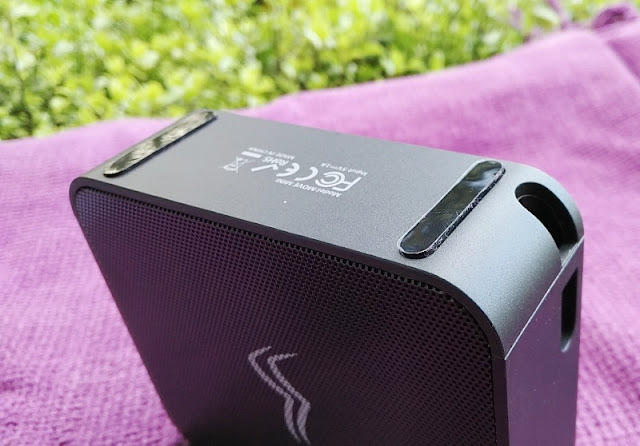 Internally, the Sensport Move Mini is a little bit unique because instead of a regular speaker driver, the Sensport Move Mini uses a subwoofer driver 50mm in size that outputs 6W of power. 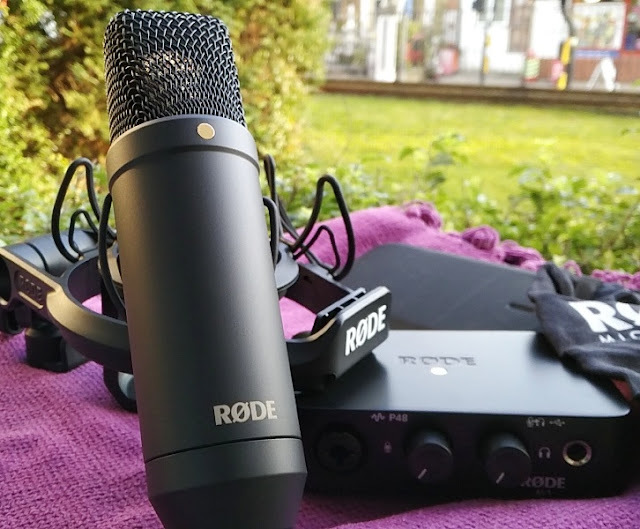 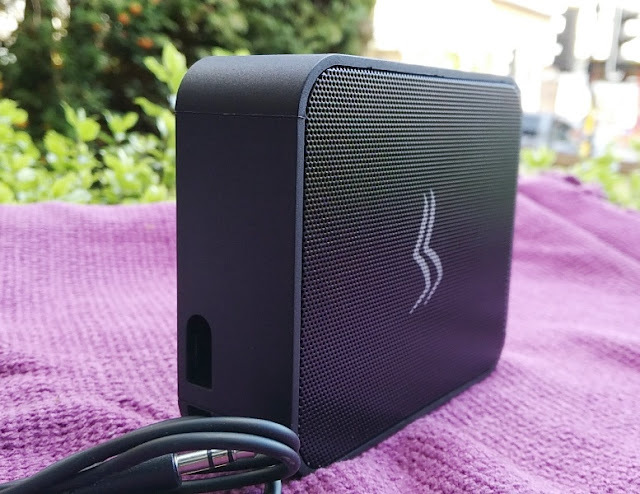 bass heavy audio tracks with ease, and it connects via Bluetooth 4.2 so you can stream from any online media player such as Amazon music, Spotify and iTunes. 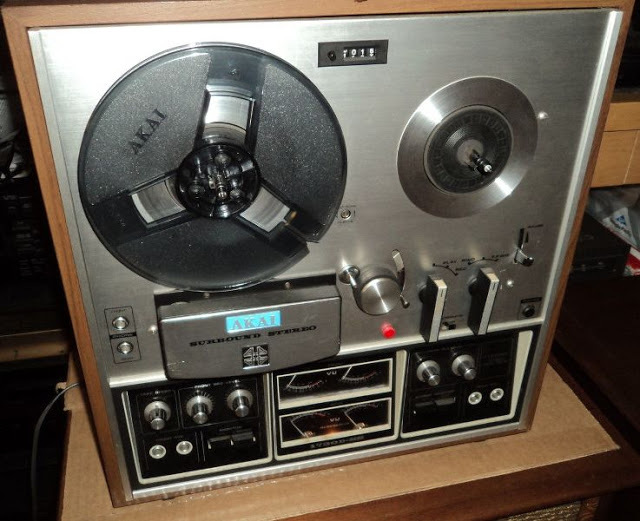 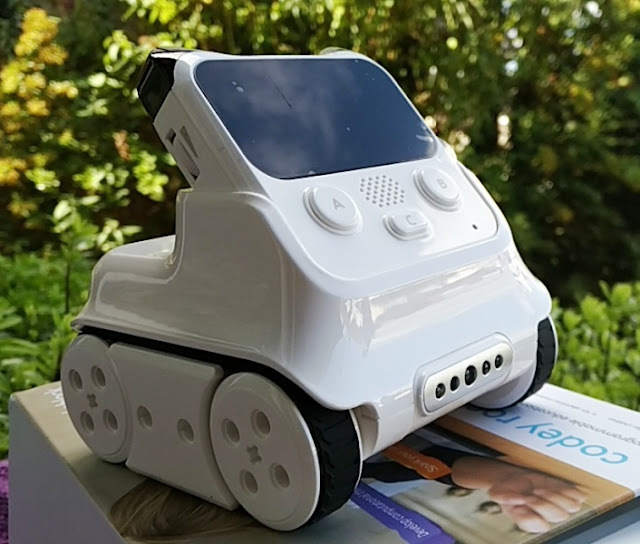 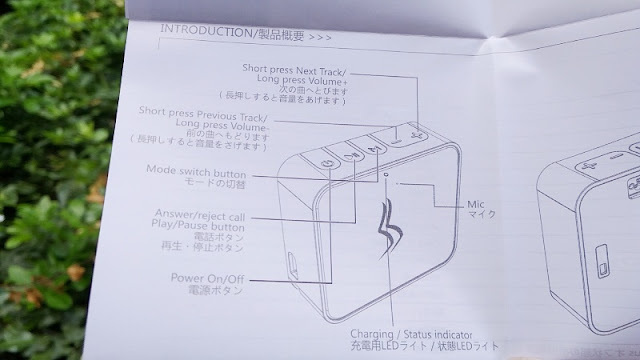 And, you can also wire the Move Mini to a smartphone via the included audio cable or play music from a memory card which is a great way to conserve battery power. 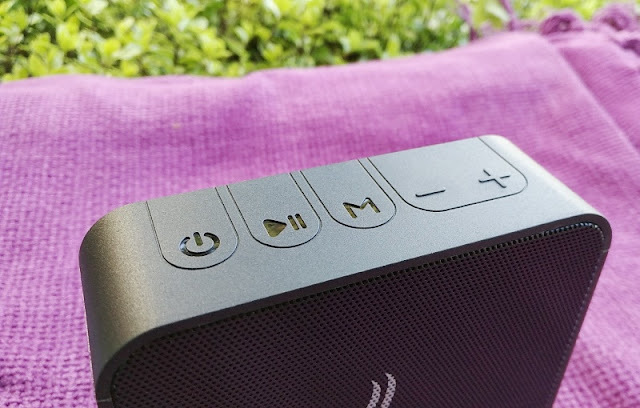 The built-in rechargeable 1800mAh battery can power the Move Mini for 26 hours on 60% volume which is pretty good but when the volume is cranked up to 100% volume the battery life severely decreases to 6 hours. 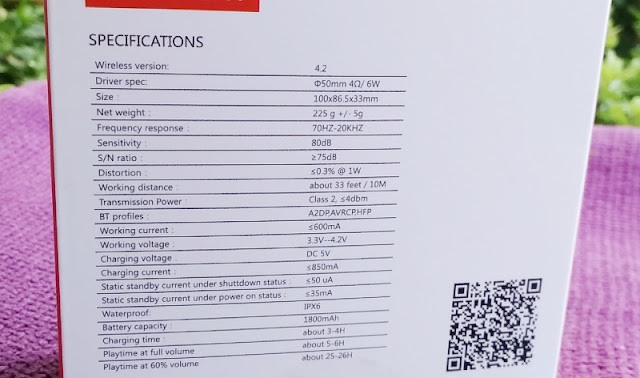 The reason for the big drop in battery life is because of the voltage increase. 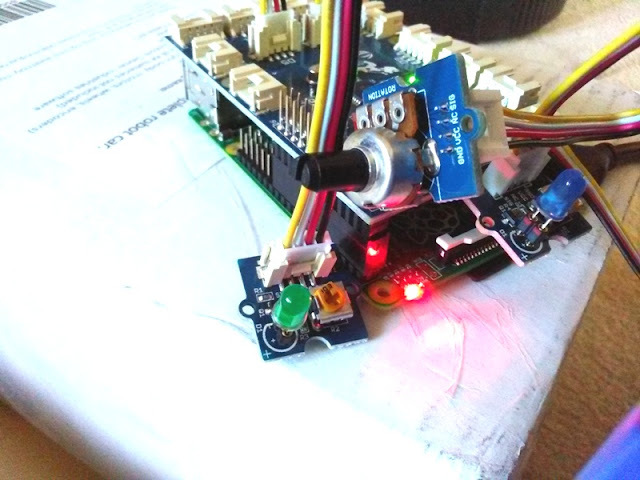 When the volume is turned up to max volume the working voltage and current increases from 3.3V 400mA to 4.2V 600mA, causing the massive drop in battery life. 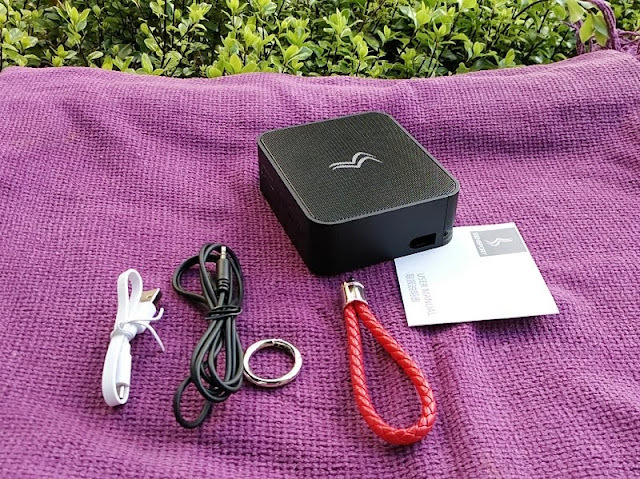 Charging the Move Mini speaker to full capacity takes approximately 3.5 hours when using a 850mA charger but if you use a 2.1 charger, it will charge it faster. 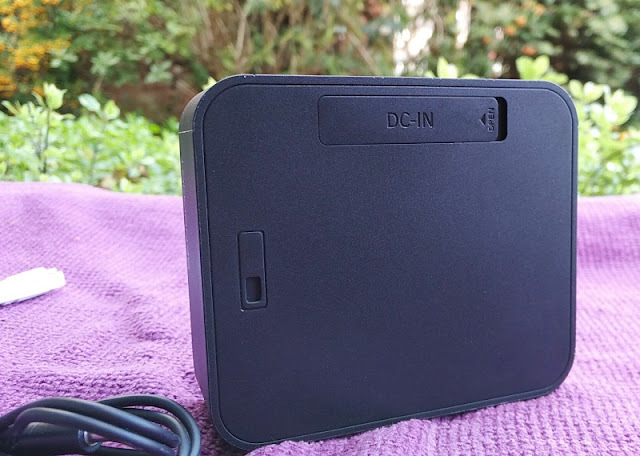 The bluetooth signal is rated at 4dBm so the bluetooth transmission power is stronger than most bluetooth speakers which average 10 meters coverage. 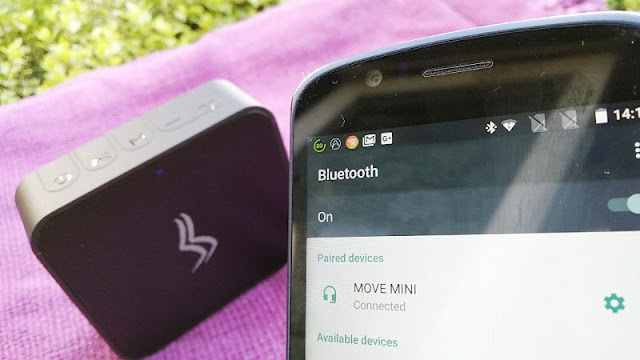 The Move Mini can transmit within 15 meters range, meaning you can keep your smartphone far from the Move Mini once is connected via bluetooth. 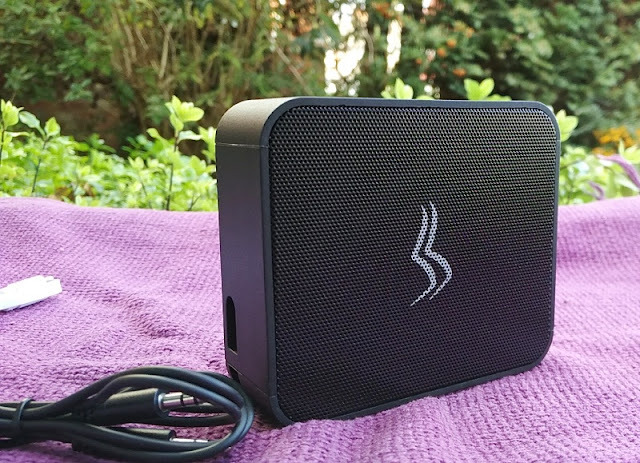 If you require even bigger sound and a higher waterproofing level, check out the Rave Model 1 speaker which has an IPX7 rating and 16W of power.